Many of us spend our lives in the Land of If Only. 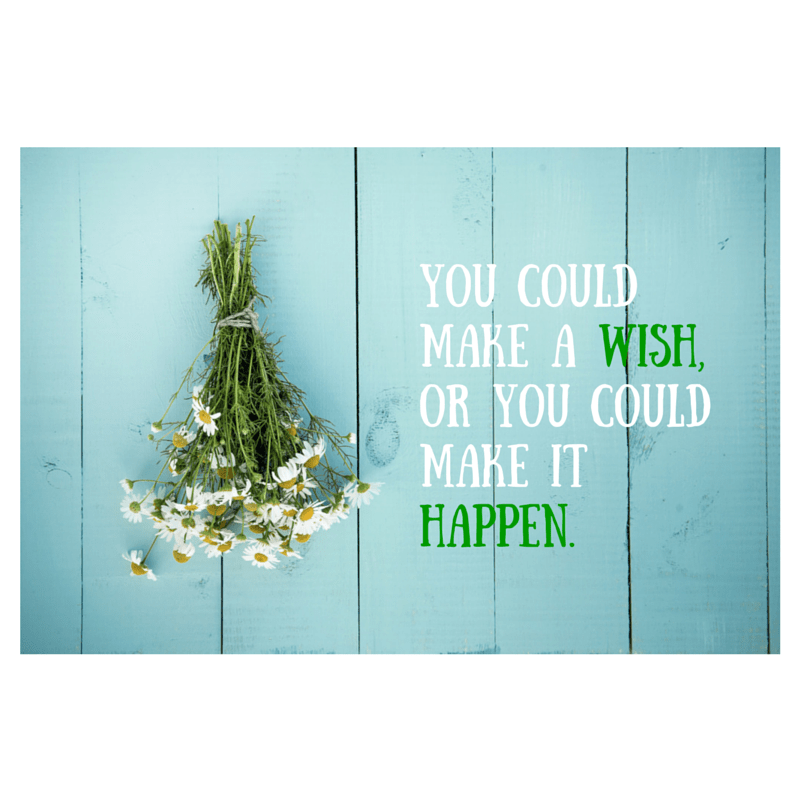 Your Monday Motivation is to stop wishing and stop thinking “if only…” and do something to make your dreams come true. You want to be healthier? You want to have a job you love? You want to have more money? Find the motivation to move forward. Figure out one major factor that is keeping you from achieving your desire and figure out a way to solve that single problem. That’s it. Just take one small step today. Next week, do the same thing. When you start getting used to the format, and you’re are closer to reaching your goals, you may find that you can make these changes faster than a week. When I did this just a week ago, my wish was to have a more organized home. The first step was to figure out why I couldn’t keep it organized. It was hard to admit, but I simply don’t finish things. I get something out for a project and complete the project, but I fail to put everything away. This happens with long-term personal projects, as well. Now that I know one major factor preventing the fulfillment of my dream, I can work to complete each task every day. Everybody knows the journey of a thousand miles begins with a single step. (Thank you, Lao Tzu, for those amazing words of wisdom!) Don’t be frozen in inaction. Take a step. Just a little one. Eventually they will add up to so much more.